Two months after the online signature campaign got going, we have 5,000 people expressing their support for the $2 Billion, Vizhinjam deep-water port and container transshipment terminal project. Copies of the petition were delivered in hard copy to the MoEF Environmental Clearance committee in New Delhi. It's very likely that the strong show of public support evident from the petition as well as public statements by commerce organizations and NGOs like Janapaksham and VMAC will have influenced the committee's decision in a positive manner and helped to negate the claims made by the small but determined group of vested interests that the general public opposes the project. The third meeting of the MoEF committee is understood to have ended favorably and we can be cautiously optimistic that a formal clearance will be announced by the Ministry in the next couple of weeks. The fact that the resorts have been caught red-handed as gross violators of environmental regulations over decades, not just years, will help to demolish the credibility of their claims, most of which bordered on the ridiculous. At the risk of being premature, let me thank all 5,003 of you who took the time to sign and promote the petition on behalf of all the people of Trivandrum, Kerala and India, for this project is of true national importance. At the same time, sincere thanks to everyone involved in the preparation of the application for environmental clearance, the like-minded organizations who have been striving hard for the project and Dr. Tharoor, who's been the only elected representative working to make the project a success, in so many different ways. The battle for the port's green clearance may be far from over. Even if the environmental clearance comes through quickly, it is very likely that the opposition will approach the Green Tribunal or other higher Courts to try to mount legal challenges to create further delay. However, the extremely rigorous Environmental Impact Assessment carried out for the project (over nearly 2 years) and the the long hearing process will help to make it difficult for any challenge to be even accepted. Hopefully, any challenge mounted by these shameless environmental violators will be dismissed immediately allowing for work to go on. Your support will continue to be needed till we see this through to the end, or rather the beginning of the construction of this landmark project, expected to start sometime in the first half of 2014. Before I sign off on this post, let me also express how rudely surprised and highly disappointed I was that so relatively few people out there took the few seconds needed to sign the petition (our original signature target was 10,000!). Taking a bead at the hundreds of thousands of potential supporters out there on social media, especially Facebook, may I ask whether this project doesn't matter even the least bit to all of you who didn't bother to sign? There are starlets out there who have hundreds of thousands or gazillions of "Likes" and who get thousands of Likes and Shares for every photo and comment posted. There are tens of thousands of folks out there who endlessly complain that "nothing ever happens in Kerala", how about you stop complaining and take a few seconds off to do something about it? I even got a protest from one gentleman who derided me for "promoting development" because it would disturb his peace and quiet as a Government employee who just wants to have a small town life. Who cares about economic development and employment generation anyways? Please do care and make it a point to channel your frustration with the maddeningly slow pace that successive Governments in Kerala (this one being an especially maddening example, at least for any project in and around Trivandrum!) into something positive. The Vizhinjam project will change our city for the better not just for us but for our children as well! There, I have had my rant! Do keep the signatures coming! 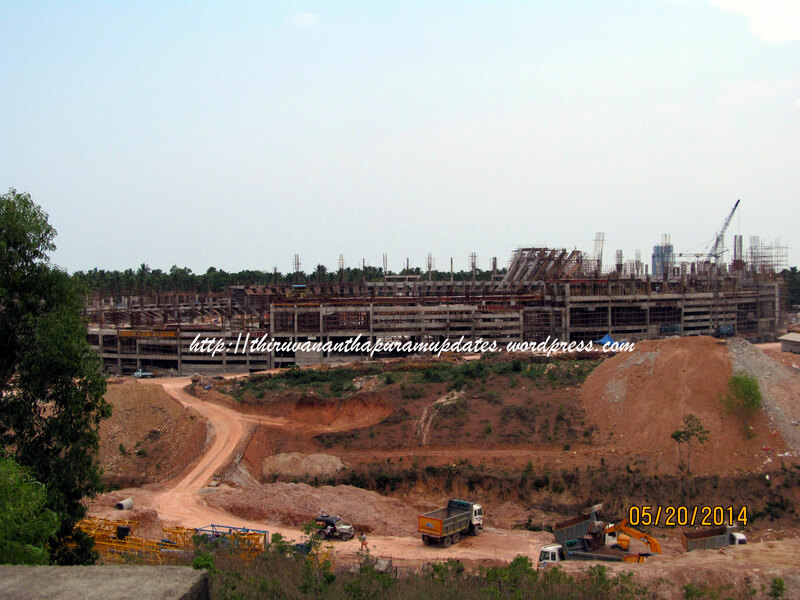 Stay tuned for more news about the Vizhinjam project here and at the Vizhinjam International Seaport FB Page.